Are you planning to pay a visit to Dubai for a holiday with your family? If yes and if you are a responsible parent of any children, the Legoland in Dubai demands attention. And if the little child from your childhood is still awake in you, you will enjoy this fun land too. But the first question that comes to our mind, what is Legoland? Well, in our childhood, almost everyone has played with Lego sets. It is a kind of 3D puzzle set, with the help of which we used to build our own house! Legoland is the bigger reality of the small Lego parts. Legoland Dubai is the new theme park, and mainly it is a water park. Primarily it has been marketed to parents with children of 11 years or less, but now adults too have joined the fun. The Legoland Dubai opened in Dubai, UAE on Oct. 31, 2016. Originally it was scheduled to open as ‘Legoland Dubailand’. But since the project got cancelled, it is now opened as Legoland Dubai as a water park. It is well equipped with different fun rides. However, for more details of the Legoland Dubai, let’s follow the below information. i)Legoland Dubai one day ticket– price: AED 295. One-day admission and unlimited access to all rides. It does not include a water park. 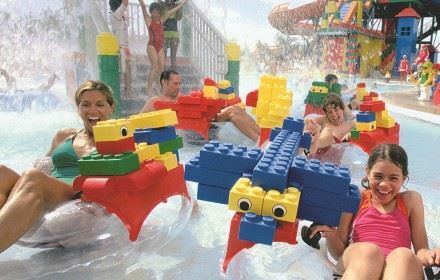 ii) Legoland Dubai Waterpark– price: AED 240. One-day admission and unlimited access to all water rides. 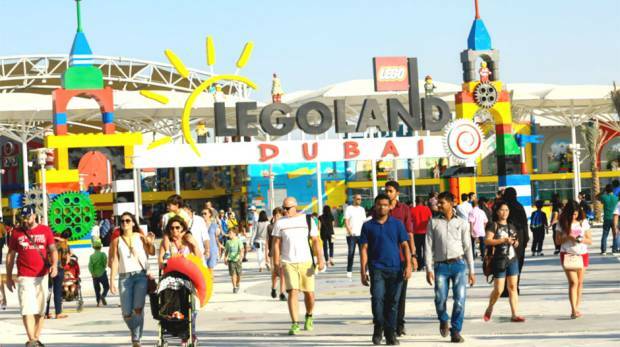 iii)Legoland Dubai combo ticket– Price: AED 395 and it include water park too. There are various annual passes offers available too which varies from AED 995 to AED 6995. Legoland Dubai Park is open every day from 10 am to 6 pm. And on holidays, it extends the timing from 6 pm to 7 pm. The Water Park is open every day from 11 am to 5:30 pm. I) Factory– As the map of Legoland shows, after entering into the Legoland, you have to visit the ‘Factory.’ In this section, the process will illustrate how the lego parts are created, and you can also get your own lego sets too! II) Lego City– As you gradually explore the Legoland, you will be led to the Lego city. Here, you will have the privilege to have fun with the rides of Lego planes, cars and boats. III) Imagination– Here you can manually have fun with the lego sets, and you can set your imagination run wild free. With unlimited Lego bricks, the fun becomes unlimited too. IV) Kingdom– And the adventurous part of Legoland- the Kingdom. In this medieval land, you will experience the ups and downs of the rollercoaster, and you will have the experience of conquering a Kingdom. V) Adventure– In the adventure section, you will have some watery experience along with different rides such as Beetle Bounce, Submarine adventure, Wave racers, Pharaoh’s revenge, etc. VI) Miniland– In this Miniland, you will feel like that you have come to the kingdom of Lilliput’s. A whole city has been built with the Lego pieces, and you can touch the city and experience it by yourself. So, what are you waiting for? Grab your ticket now and have fun with the legos!